Dear Blog readers, I know I haven't posted anything in a while but I've been busy with school and sports. Wrestling recently won me a medal and I've been distracted from my art. A few days ago was the first snow day of 2018 in Gibsons! This inspired me to paint a trio of pieces with cool colours that remind me of winter. The first and largest one is what I call a drip-painting. I made it by putting large globs of paint on the canvas and holding it upright so the paint drips down in streaks. The second one is a traditional splatter painting with the same colour scheme but I did it on a deeper canvas. The third is a horizontal brush painting again with the same colours. You can view them all in the gallery. Happy February! As we shift our mindset from summer to fall we also change the way we do art. 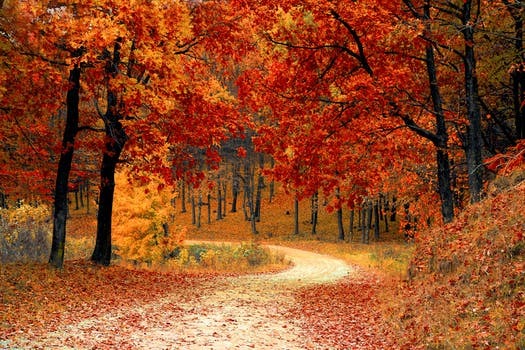 we appreciate fall colours and the changes that come with autumn. You might notice that artists who use very bright and vibrant colours in the summer will start to use more golden browns and orange ambers. I like to take many different shades of pink and blend them together. I did a series of splatter paintings, to me, what matters in a splatter painting is what you're thinking while you're painting it. Watercolour on paper, 2017. April showers bring May flowers! Oil on canvas, 2017. From where I live, the sun sets behind us. but I have seen some incredible sunrises! This is what a beautiful sunset would look like to me. Acrylic on canvas, 2017. I painted this picture when i was doing a school project on sea stars.